During the school year things can get very unorganized and chaotic. Textbook are strewn throughout desks, muddy boots are shoved into lockers and the homework continues to pile up. 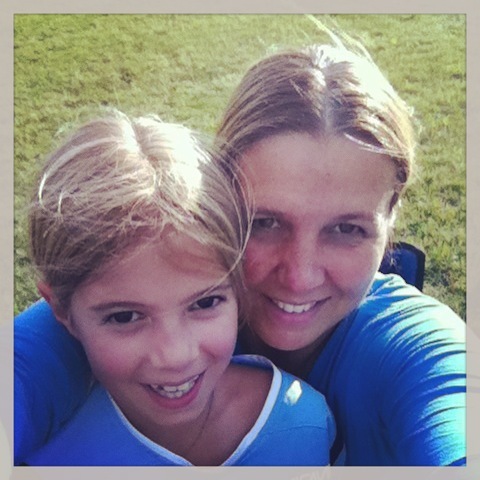 For those of you that have kids you know that this time of year is very frenzied for me and many other students in grade 7-8, because of upcoming exams and more and more homework. Although it is tricky, it does not take long to figure out how to keep everything planned and ready for the exam season. 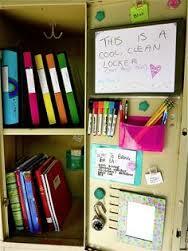 At school I am given one locker and one cubby to keep piles and piles of school work and textbooks in. 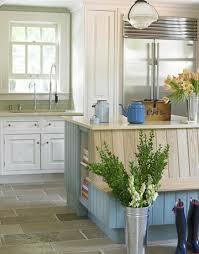 It is an amazing feat to see how you can drastically change how much you can fit in such a little space. Every now and then my teacher leaves the doors open to cubbies that need a bit of cleaning. They are usually filled with loose papers and are full of textbooks stacked sky high. This is proof that when you are beginning to organize you should always get different folders and files for your loose papers. Assign different colors to every subject so that it is easy to find your homework on time. 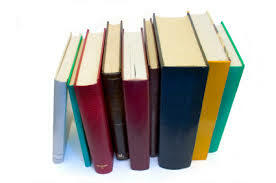 Another easy way to keep everything clean is to order your textbooks vertically not horizontally. This makes it easier to pull out the correct textbook than if they were stacked one on top of the other. Another area at school that is cluttered is lockers. When all of the kids run inside after recess muddy boots and snow filler hats and mitts are usually shoved in whatever crack or crevice they can find. This leads to soggy backpacks and mud-filled lunches, and that’s no fun for anybody. Try and keep only one pair of boots or runners at school at all times. This will lead to less clutter and more space in their lockers. Also if you have an older girl, you could create a box with necessities such as hair elastics and lip balm. Gym bags can create a smelly, sweaty stench in a locker. I usually put a tea bag in the source of the smell, (whether it is shoes or socks), because this absorbs the smell. Change the tea bag every week so that it does not begin emitting the stench you collected before. One final tip is to always have a locker clip. This ensures that clothing and other items stay safely inside the locker. Your child can decorate this clip by dangling key chains or colorful bracelets. All in all, it is very important to keep your school supplies and homework organized when at school. I have found that these tips have really helped me tidy my work space and become a more efficient student overall. This entry was posted in Uncategorized on November 28, 2013 by organizeonce. First … Purge the room. Get rid of all those items that are no longer of use to you. Donate, give to friends/family, sell on Kijiji or just throw it away. If you find items that belong somewhere else in the house, get them to that space. Second … Decide what you want that room to be used for. Perhaps a Guest Room, Craft Room, Extra Closet or Home Office. Your home is your castle so make the most of the space you have. Third … Purchase (or rescue from the basement) what you need to keep the room organized and tidy. This will change depending on what you want the room to be so make sure you decide that first. Is it bins and baskets, a closet system or desks and drawers? Lastly, install those new items you need to keep the room organized and put everything away. Enjoy! You have just added Real Estate to your home! This entry was posted in Uncategorized on October 22, 2013 by organizeonce. I have been thinking about priorities this weekend. What is important to me and what is not. Of course with young children, I need to think about them in this equation too. What really matters? What has to get done (groceries, bills paid & homework) and what can wait a few days (landscaping, laundry & mudroom clean up) and what do I WANT to do (bike with the kids, have friends/family for dinner & read). It is easy to just let our busy schedules take over and prioritize for us but with a little planning, organization (and soul searching!) we can do both what needs to be done and what we enjoy doing. This was never as clear to me as it is now. Owning a busy restaurant for 13 years skewed my vision of what was important. After taking some time off and starting a new business that was just for me I realized that getting organized didn’t just mean my home but it meant my brain too. My perspective of what matters has changed dramatically for the better. Spending time with family, being silly with my daughters just because it is fun and just being mentally present for them has become the most important. I now have the brain energy to put the little things first because they often matter the most. After that the rest just seems to fall in line. Happy Sunday! Do what matters most to you today …. This entry was posted in Uncategorized on September 22, 2013 by organizeonce. I spent the day on Monday helping a teacher of 20 years organize her classroom. Her school is moving to full day kindergarten so her classroom (Grade One) had to be moved to the second floor of the school in order to make room for renovations. In June she had packed up countless boxes and had them hauled upstairs. It was time to see what was in them! I enjoyed this process immensely. Partly because this teacher is one of my best friends of 28 years, and partly because of what I learned about teachers that day. As we opened each box and found a spot for everything I discovered how much teaching meant to her and how much of herself she put into it. I discovered all the tools that she had developed and used over the years to teach different kids. Different kids have different needs and respond to different methods. She was ready for anything. I also discovered how much of her own money and resources she put into that classroom. Her students will not go without. As we get set for Back to School let’s remember and be thankful for all those teachers who give themselves to our kids. They go above and beyond to make sure that our children learn, grow and experience life away from us. I know I am. This entry was posted in Uncategorized on August 28, 2013 by organizeonce. Being organized takes some work. Sure it comes naturally to some people but it still takes a certain degree of lists, planning, sticking to it and execution. Late last night we came home from a wonderful week vacation at our family cottage. After a long car ride all I wanted to do was crawl into my own bed but some things had to be done. 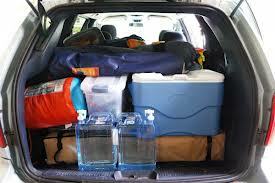 Car emptied, cooler away, bags unpacked etc etc etc. The girls are a great help but at 11:30 at night I only expect them to brush their teeth and crawl in bed. The food was put away but after that I simply made a list of what needed to be done in the morning. 4. Grocery list of what we are out of up north added to the regular grocery list. List was made and I was happy. Now I could go to sleep with no worries about the piles of boxes and bags at the front door. Besides, my helpers would be awake in the morning too! This morning was a breeze and all was in order by 8:30. Good way to start the day. Make a list and stick to it! You will thank yourself for it later. This entry was posted in Uncategorized on July 29, 2013 by organizeonce. Ahhhh … Vacation is 2 days away and I have been packing for a week! It is not as bad as it sounds. Just a little bit each day keeps me organized and helps me remember all we need for a family of 5. We take an annual road trip to Georgia each year and look forward to this vacation the most. Quality family time is the best. Clothes – We have laundry capabilities so this is not too hard and we don’t need too much. I actually packed the clothes 2 days ago because laundry here was finished. Now I just need to keep the girls from reaching in their bags to get dressed. Wear what’s in your drawer! Electronics – 17 hours in a car can get a bit long, so electronics are a welcome distraction. IPods need to be loaded, updated and charged. Once we get there it is beach, biking and ice cream so I don’t worry about how much they watch in the car. The DVD player in the car gets a workout also so I try to choose some movies from the basement that they haven’t seen in a while and borrow from friends too. What’s old is new again! Food for the trip – We bring lots of snacks, drinks and treats for the ride. There is nothing worse than a 5 year old arguing with Daddy to stop for food when he has filled up with gas 20 minutes ago. 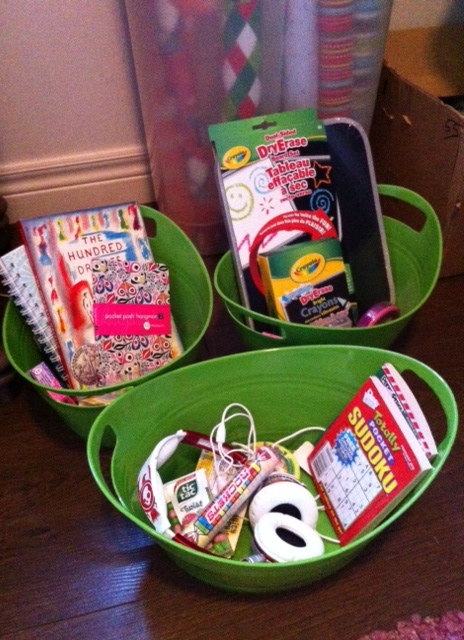 Each girls gets a small bin with some personal items, books, tic tacs, a pad of paper, markers and earphones. This helps them immensely keep track of their own items and helps me because there isn’t stuff rolling around the floor of the car. That makes me crazy! Oh ya, and Daddy gets an audiobook so that he can drive away and tune the rest of us out! This entry was posted in Uncategorized on June 19, 2013 by organizeonce. Happy Mother’s Day to all the Organized Mom’s out there. Does anyone else organize for Mother’s Day or is it just me? I love Mother’s Day morning. I always stay in bed while my three girls and my husband put some breakfast & coffee together for me. After it is brought up to my room, my daughters and I have a bed party where we just talk, eat and have fun being silly. There are always treats for me and homemade treasures that I adore. To be honest though … I do prep for this morning. The house is tidy the night before and the kitchen clear and ready for the whirlwind of food prep that will happen. Things are put away in the proper place and vacuuming is done. It just makes for a really nice day when after the bed party, we can get up, get moving and on with our family day, without me worrying about the house being clean & tidy for company that night. Even on days dedicated to us, we moms need to stay organized. Happy Mother’s Day! This entry was posted in Uncategorized on May 10, 2013 by organizeonce.